Beautiful ride along I-70 with scenic vistas everywhere. 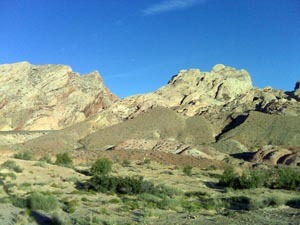 One really nice one is San Rafael Reef. Once I merged with I-15, I was in reruns of last year. Again, Vegas was in the 120s with heat off the blacktop maybe 140+. After a mini welcome party with friends in Riverside tomorrow, a short drive home Sunday.